While starting her life as a Grand Banks 54 SX, Chaos has been significantly rebuilt, adhering to the design modification prepared by C. Raymond Hunt Assoc, by both Lyman Morse Boat Builders and Front Street Ship Yard. With added water length, completely new engine room with new engines and equipment, and the addition of a fly-bridge, this yacht still has a family resemblance to the Eastbay 54 SX, but that is where the similarities end. Chaos has enjoyed the ownership of knowledgeable yacht owners that have had the desire and means to transform an already well established yacht into a magnificent long distance express cruiser. 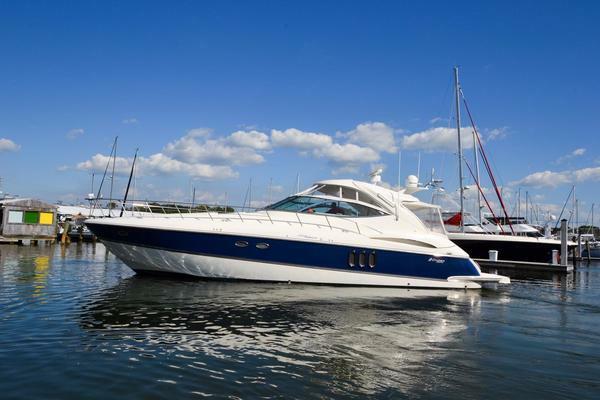 With an exceptional inventory list and a proven history of maintenance by two of the best boat yards in North America, Chaos offers a great opportunity to own semi custom yacht, in Bristol condition at a great value. Chaos, nee Transition, is a heavily customized Eastbay 54 SX that has been through two major upgrades/rebuilds, these changes have significantly changed the boat to the point that this can no longer be considered an Eastbay 54 SX. Rigging kit Includes:U-1 series AGM battery with box, small fuel/water separator, aluminum prop, doel fin.